This is no time to hunker down waiting for Spring before taking a short break. Sure, it’s a tad breezy out there right now and the temperature hasn’t quite reached double figures here on the south coast, but pack some layers and an adventurous spirit and leave the city behind! A gang of cheery Americans came to stay with us recently at the guesthouse, armed with some rather sinister-looking hammers and a keen eye on the tide tables. 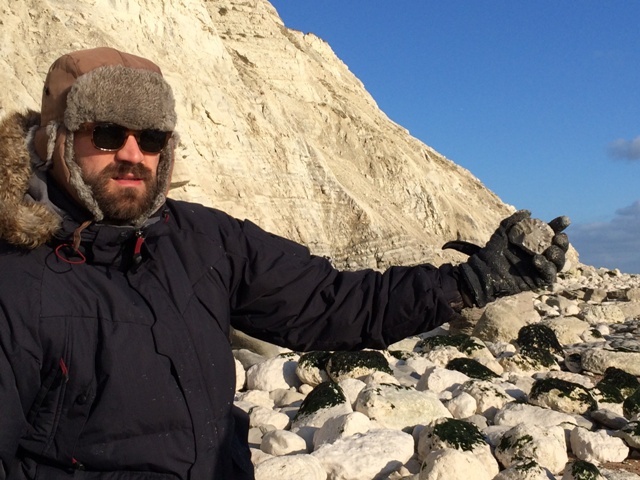 There’s fossils in them thar hills it seems – Beachy Head more specifically, and the lunar landscape below it. The sheer chalk cliffs, less than a couple of miles from Eastbourne, provide a spectacular stretch of coast and hold more than just amazing views. At low tide you’ve every chance of discovering all sorts of fossils of creatures from about 100 million years ago as our guys reveal here. Just make sure you keep an eye on the tide as a pocket full of ammonites doesn’t provide the greatest buoyancy aid if you’re cut off by lapping waves. If you’d prefer company and some guidance there are monthly fossil hunts with the next family hunt being on Saturday, 15th March. For other ideas and inspiration discover more about Eastbourne. Aegon international Ladies Tennis. Pimms anyone?